KNOXVILLE, Tenn. — Tennessee football head coach Butch Jones and seniors Charles Folger, Kenny Bynum and Jason Croom spoke to reporters at Wednesday’s press conference in the Ray and Lucy Hand Digital Studio. 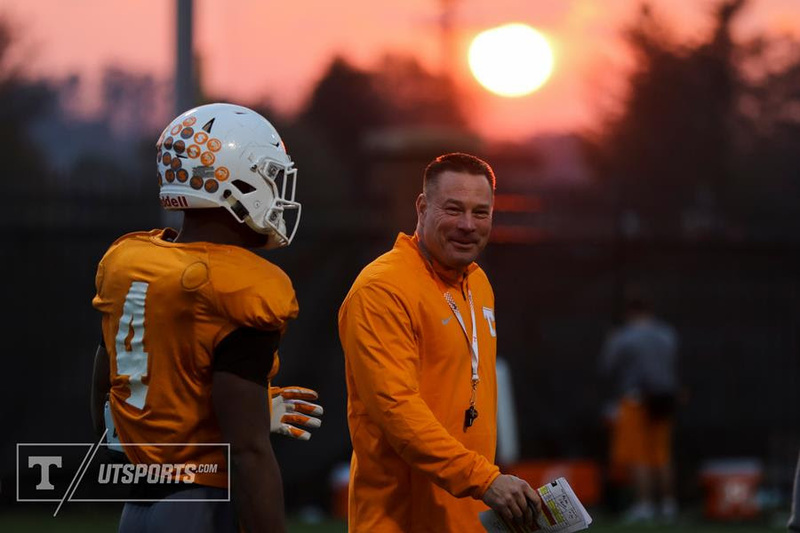 Jones spoke about what this year’s seniors have meant to the program and the seniors discussed what playing for the University of Tennessee has meant to them. The Vols (7-3, 3-3 SEC) are receiving votes in the latest AP Top 25 and Coaches Poll and are No. 19 in the latest College Football Playoff Rankings. Tennessee will play Missouri (3-7, 1-5 SEC) on Saturday at 3:30 p.m. The game will feature a live broadcast on CBS, featuring the crew of Verne Lundquist, Gary Danielson and Allie LaForce. On Saturday, the seniors will play their final game at Neyland Stadium. Jones spoke about what this year’s seniors have meant to the Tennessee football program. As a redshirt senior and former walk-on, Folger has experienced a lot over the last five years. Folger earned a scholarship this past August and has already earned a bachelor’s degree in special education. He spoke about the lasting relationships he has formed over the years and how he has enjoyed being one of the elder statesmen among UT’s walk-ons. Folger admitted that he will likely be emotional running through the “T” one final time. Like Folger, Bynum has already earned his bachelor’s degree in Recreation and Sport Management. For UT’s SAM linebacker and punter protector, there was never any doubt that he would return for his fifth season on Rocky Top. As a redshirt senior, Croom has been through both the highs and lows of Tennessee football over the last half-decade. Even with injuries hampering part of his career and consistent playing time, he has continued to improve the program and serve as a leader for Team 120 as he finishes out his final season as a Volunteer.